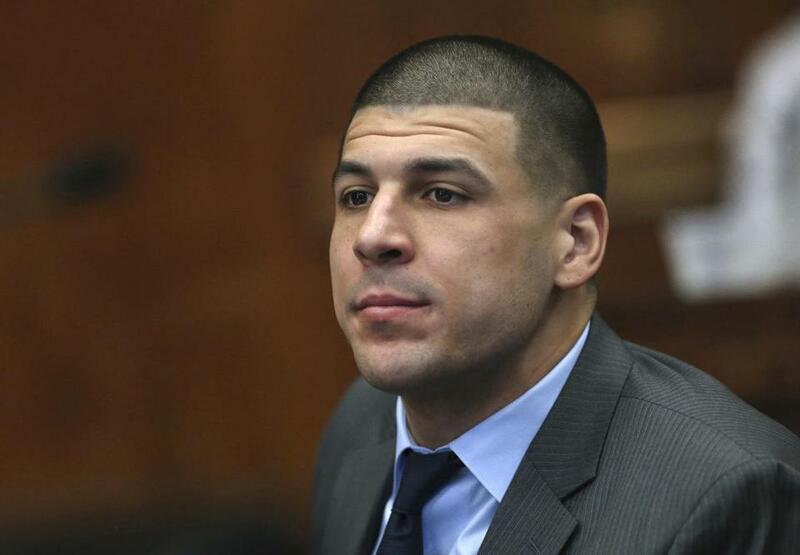 Former New England Patriots tight end Aaron Hernandez appeared during a hearing at Suffolk Superior Court Tuesday. The group of friends had just left a nightclub when an SUV pulled up beside them in the South End. A man yelled at them, and the bullets began to fly. “We were in panic. Screaming, crying, crazy,” Raychides Sanches said in a Boston courtroom Tuesday, at a motions hearing in the double-murder case against Aaron Hernandez. There was blood everywhere, he said. In the first public testimony from a state witness in the case against the former New England Patriot, Sanches said Hernandez looked like the shooter in the 2012 slayings of his two friends, Daniel de Abreu, 29, and Safiro Furtado, 28. Fellow passenger Aquilino Freire, who also took the stand Tuesday, was also hit by gunfire. The testimony of the two men came as Hernandez’s lawyers sought to persuade a judge to limit the scope of the testimony they will be allowed to offer at trial. Authorities allege Hernandez crossed paths with the murder victims inside the Cure nightclub and became angry when one of them jostled him. After leaving the club, he got into an SUV with a former friend, Alexander Bradley, and circled the Theater District until he saw the five men leave in a white BMW, prosecutors say. Hernandez, who is serving a life sentence without parole for the June 2013 murder of Odin L. Lloyd, is charged with witness intimidation for allegedly shooting Bradley in Florida in 2013. He has pleaded not guilty to that charge. Lawyers for Hernandez said the two men’s stories have varied since their initial accounts, and Sanches and Freire acknowledged in court Tuesday that news reports had cemented their memories of the night. Defense attorney Jose Baez suggested Sanches had changed his description of events since first speaking with investigators. Sanches initially described the shooter’s SUV as white, according to statements in court, but the vehicle allegedly used by Hernandez was silver. Sanches said it was dark when the shooting happened. Sanches and Freire both testified they told investigators after the shooting that they saw an SUV pull up and heard someone say “What’s up, negroes?” They acknowledged they had seen news reports about Hernandez between their initial statements and their later grand jury testimony and had seen images of the SUV recovered by police, along with an image published by the website TMZ that portrays Hernandez holding a pistol. After the hearing, Baez said he was concerned that news coverage had affected the men’s memories. Suffolk Superior Court Judge Jeffrey Locke said he would decide later whether Sanches and Freire will be allowed to testify at trial about the shooter’s appearance. Sanches and Freire both spoke with the help of an interpreter, who translated questions and answers to and from their first language, Cape Verdean Creole. Sanches gave part of his testimony in English. Sanches spoke in more detail than Freire, who said he could not remember some information about the shooting and its aftermath. Both said they did not follow football closely enough to recognize Hernandez at the time of the shooting and said they did not notice him if they saw him at the nightclub. But Sanches said he recognized him now. Baez asked him what the shooter looked like, and he referred to Hernandez, who was in the courtroom. 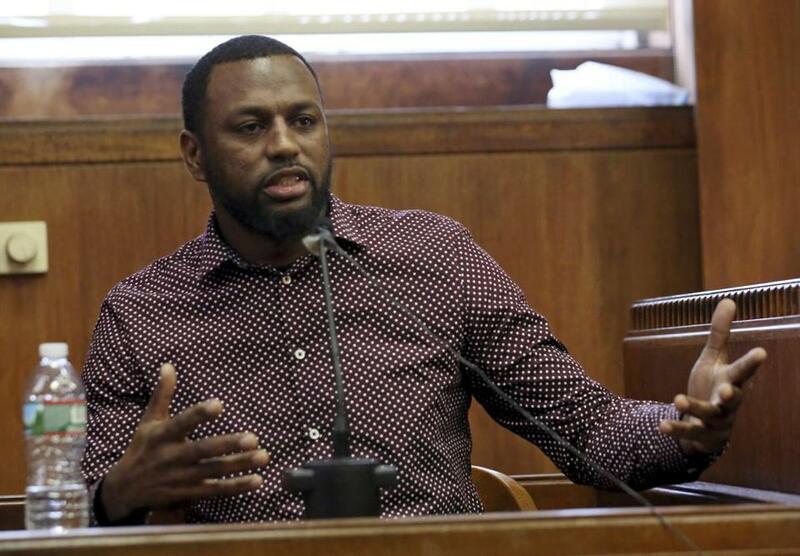 Under questioning by prosecutors, both men said they had provided investigators basic details about the case in the aftermath of the shooting, and stand by their accounts. Both said they saw a light-skinned shooter, clean-shaven, with a lean face, according to court testimony. Defense attorney Ronald S. Sullivan Jr. questioned that, saying they had offered different descriptions of the shooter and car. In court documents, prosecutors have said they do not plan to use Sanches and Freire to make positive identifications, only to describe their recollections of the circumstances. The prosecution plans to have Bradley make an eyewitness identification. John R. Ellement of the Globe staff contributed to this report. Andy Rosen can be reached at andrew.rosen@globe.com.